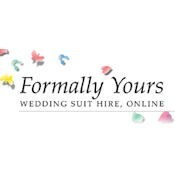 If you're looking for fantastic wedding suits or dinner jackets to hire at the best prices and quality, then you don't need to look any further than Formally Yours. To get an idea of the colors and fabric Formally Yours is offering a FREE fabric swatch brochure. Complete your details and sumbit to receive yours.